This question is often asked by a lot of people who would like to get an air fryer with a size that will be perfect for their family. So, what size air fryer for a family of 4 would be the best? There is no definite answer to that but also there are solutions to it. The reason why there is no definite answer is that there are still some factors to consider when choosing an air fryer for a family of 4 people. Some of these factors include the type of food you’d be cooking most often. 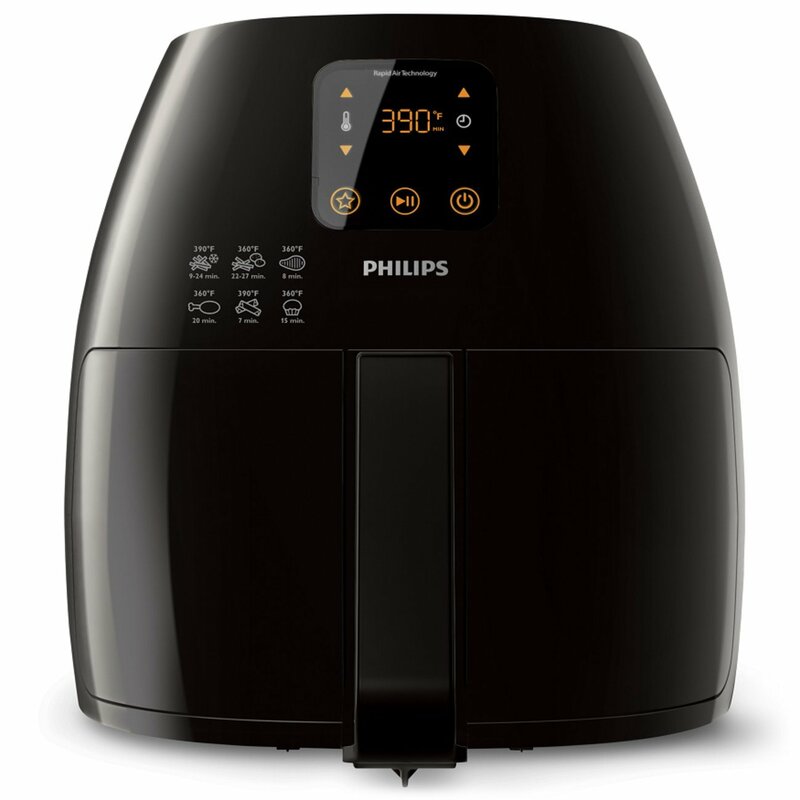 The original Philips Air fryer has a 1.8lbs capacity. This capacity could fry some French fries for a family of 4 whereas it wouldn’t fry enough chicken wings or drummettes enough for a dinner for 4. Another case is the ability to cook more food type together, some air fryers have enough capacity but won’t cook 2 or more food together, probably because they can’t be used with accessories such as racks that may give room for versatility. Even with all these to consider, there are still some air fryers that will do well to satisfy a family of 4. What size air fryer for a family of 4? Check out the following air fryers. This air fryer has a 3.2L capacity, enough for 8 chicken wings. It has a 60-minute auto-timer and uses dual convection fan to circulate hot air around your food. The 8-cup interior may be perfect for a group of 4 depending on how much they can eat. The only problem with this fryer is that it can’t cook different types of food together. For more versatility and capacity, the Philips Air fryer XL seems better. Versatile, 2.5lbs capacity and a maximum adjustable temperature of 390F. 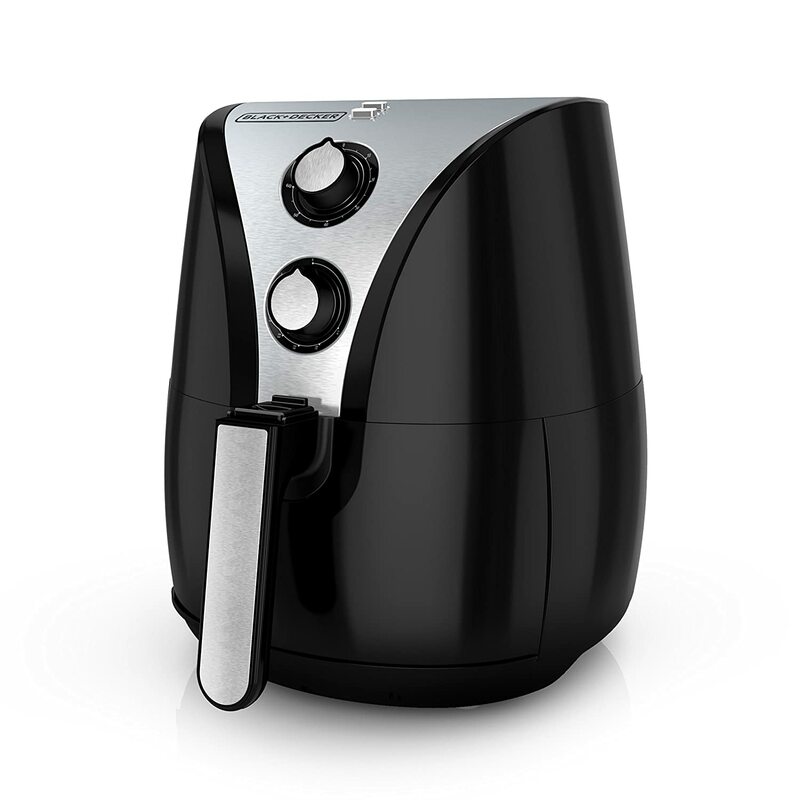 This air fryer is going o be perfect for a family size of four or more. The added capacity will help when cooking two or more types of food altogether. The air fryer has a 5.8qt capacity, 180F to 400F adjustable temperature, 30-minute auto timer, and 8 Presets for an effortless cooking experience. It should fit real good into a kitchen for a family of four.Includes a booklet that contains 50 Recipes for your Air Fryer . 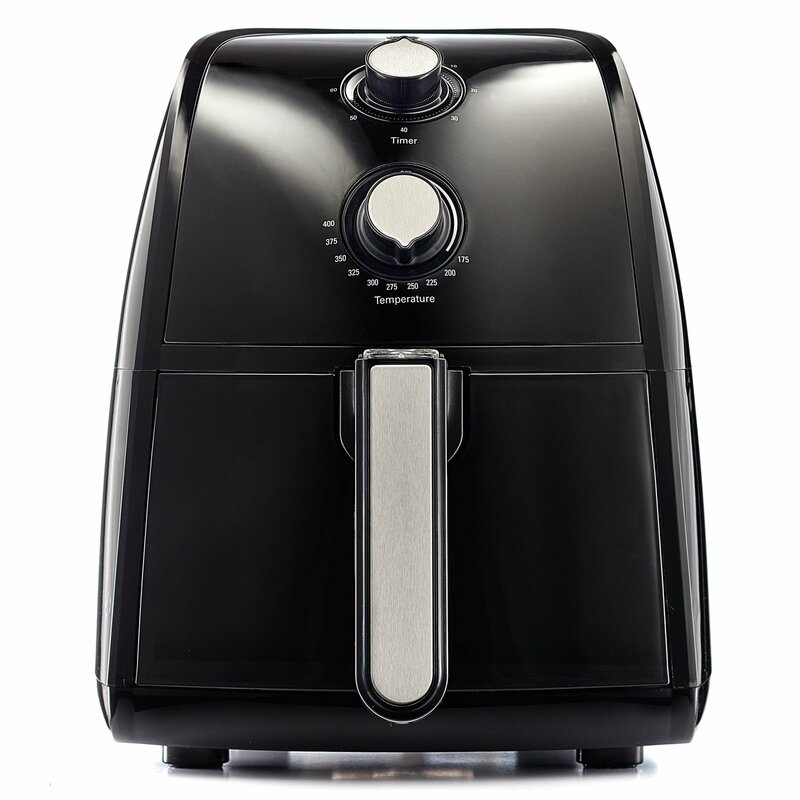 It is a 2.2lb-capacity air fryer powered by a 1500W stainless steel heating element. 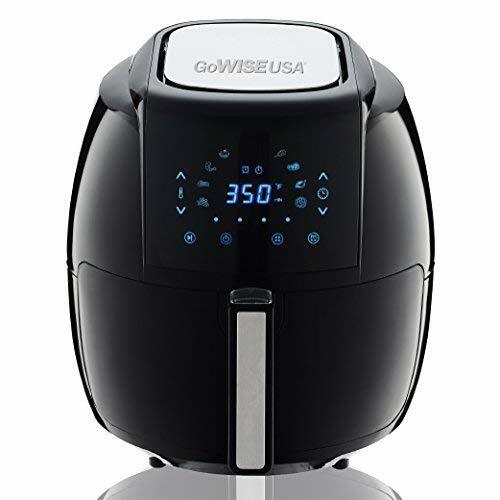 It is a great manual air fryer, quite-budget friendly and should have no problem satisfying a family of 4, or maybe 2more. This air fryer has a 2.2lbs capacity and features a 60-minute auto timer. It has a stirring paddle so you do not need to shake the fryer while cooking. The capacity should do well for a family of 4. The air fryer has a design different from most air fryers. It has a lid which is secured enough to prevent messing up your cooking experience. So when the question of what size air fryer for a family of 4 arises, these air fryers are capable of easily serving a family of four people with little or no issues. With these air fryers, you would not have to cook several batches before everyone gets their share. 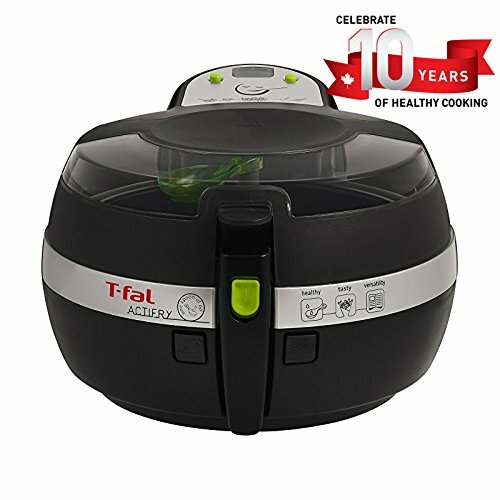 Hi, if my air fryer is tank capacity of 4liters, Frying basket is 2 liters, do I buy accessories based on the tank capacity or basket capacity? Thanks.